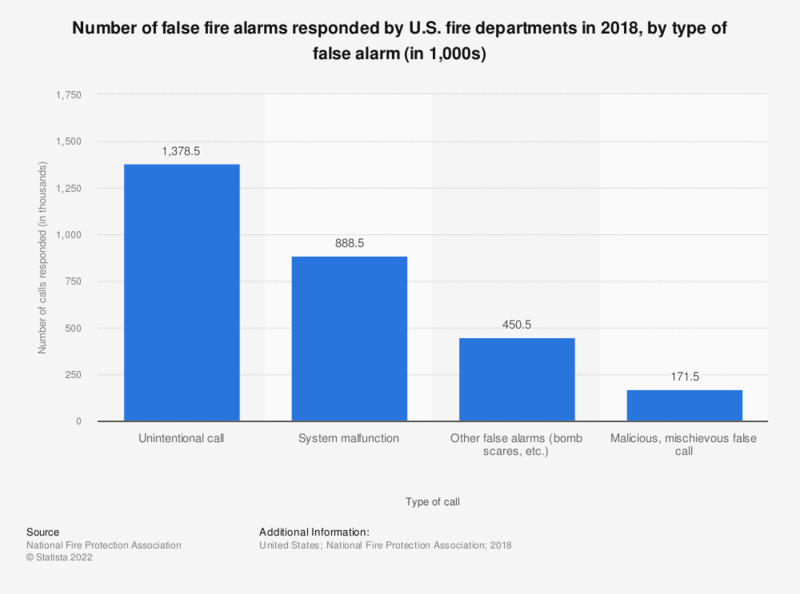 This statistic shows total number of false alarms responded by fire departments in the United States in 2017. In 2017, U.S. fire departments responded to a total of 2,547,000 false alarms. Malicious false calls decreased by 18% from 2016, accounting for 141,000 of all false calls.